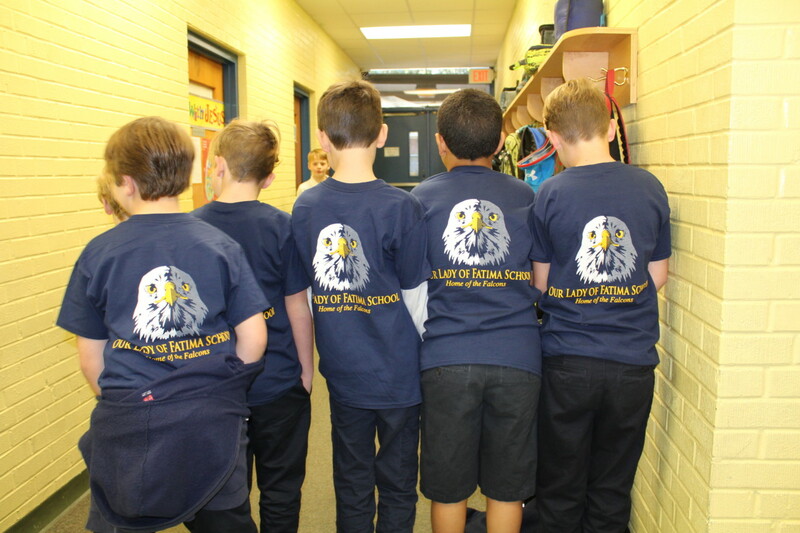 OLF Elementary distributed new t-shirts to all students and faculty this week. The new t-shirt features the new falcon logo that matches the marquee. Principal Cindy Hahn said “it was time for a new look on the campus and t-shirt. 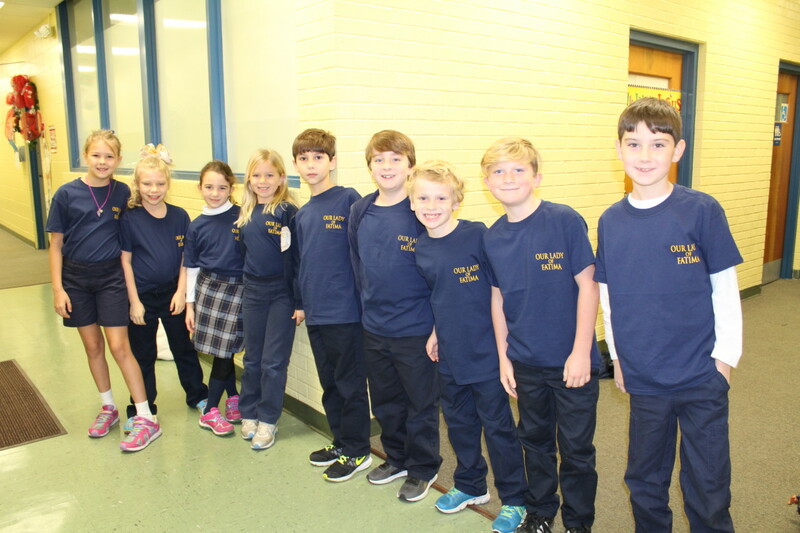 Our students enjoy wearing our Fatima t-shirts and we wanted a new modern design”. Students, parents, and interested parties may purchase additional shirts by contacting the business office.